Allen, Texas is a small community south of McKinney and just north of Plano made up of about 89,000 residents. Nestled in Collin County and a northern suburb of Dallas, Allen features a variety of parks, restaurants, shops, markets and modern commerce such as police stations, hotels and fire departments. The town was named after Ebenezer Allen, the last Secretary of State for the Republic of Texas and the former Atty. Gen. for the state of Texas. it has one of only a dozen wakeboard parks in the country. Allen has been home to some notable residents including Carly Patterson, the 2004 Olympic all-around champion in the gymnastics Hall of Fame; Jim Parrack, a television star featured in shows such as True Blood, Battle: Los Angeles, and Grays Anatomy; Burton Gilliam, best known for his role in Leaving Saddles, appearing in more than 80 films and television shows. Allen was also the home to the first train robbery in the state of Texas back in 1878. Allen has a variety of activities, sports, educational resources, shopping and of course fantastic neighborhoods. From fine dining to history museums, golfing to arts and culture, there’s never a shortage of fun things to see and do for just about everyone here, in Allen Texas. August 5 – 7: tax-free weekend where the Allen premium outlets, the Village at Allen and Watters Creek offer bargains and discounts all at tax-free savings. Grab a sweet treat that one of the many shops in town such as Pacuigo gelato, Rita’s Italian Ice, Frozen yogurt at Yumilicious or Marble Slab ice cream. Golfing at the Courses at Watters Creek, where you find people golfing far after sunset with a lighted driving range and over 50 hitting stations and nine target greens. Grab a cold brew at Nine Band Brewing Co. or stop by Cabela’s to stock up on summer fishing gear. Allen Texas receives an 86 on the livability scale by areavibes.com. Our unemployment rate is lower than the US average better cost of living is slightly higher. Nearly 77% of homes are owned whereas about 23% are rented. Some of the highest priced homes can ranges high as two to $3 million whereas the least expensive start about $180,000. The average listing price is about $455,000 with anywhere from a 250 to 300 homes on the market at any given time. The average rent is between 1700 and $2000 per month based on size and condition. 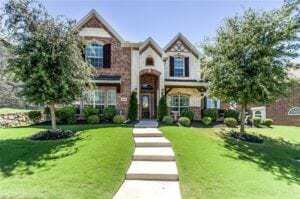 For more information on Allen Texas and homes for sale in the area contact my office today.